Provides reliable power protection and advanced technology for high power applications. Offers excellent dynamic performance, with the ability to handle virtually any input condition while still providing computer grade output to critical loads. Liebert NXL™ uninterruptible power supply (UPS) provides reliable data center power protection and advanced technology for high power applications. This UPS adds dynamic performance to data center design, handling virtually any input condition while still providing computer-grade output to critical loads. 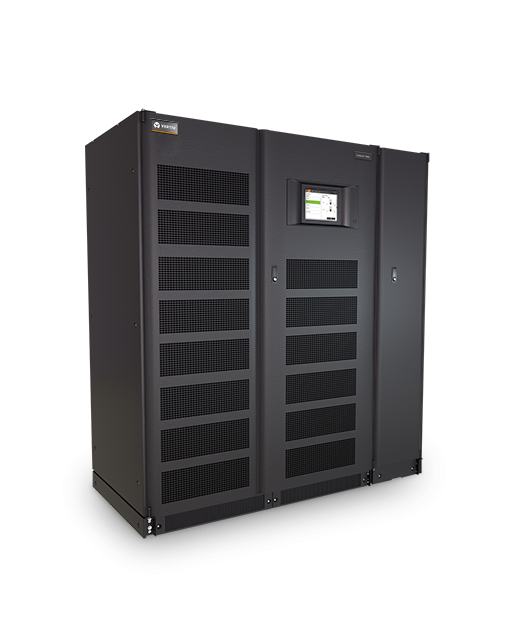 The Liebert NXL UPS is available in both single module and multi-module systems. Capacities include 250, 300, 400, 500, 625, 750, and 1100 kVA. Unity Power Factor as well as 0.9 PF load ratings are available. Voltages include 480, 575, and 600. Matching battery cabinets and maintenance bypass cabinets provide a complete power protection solution.